Two passages make the point that the Messiah is also, in some way, the Son of God. Concerning this Psalm, Rashi admits, "Our rabbis expound it as relating to King Messiah." Although the majority of rabbis in earlier years also explained this Psalm as referring to King Messiah, many rabbis today would refer it to David rather than the Messiah. But the words of the Psalm and a comparison of history would exclude David as a possibility altogether. In this passage, God tells the Person to whom He is speaking that He is turning over the dominion and the authority of the whole world to Him (v.8). History makes it very clear that David never had that dominion, nor was he ever able to exercise such authority. Hence, David must be excluded. Thus, the early rabbis were correct in interpreting this Psalm to speak of the Messiah who, in this Psalm, is referred to as the Son of God. Among the titles given to Messiah is the term "Son of God". This is applied to Messiah twice in Psalm 2, in verses 7 and 12. This Messiah, who is to be king in Jerusalem and over the whole world is also, uniquely, the Son of God. Also in this same Psalm, God warns that all must submit to the Son of God, the Messiah. Those who refuse will be punished. Those, however, who take refuge in the Messiah—that is place their faith and trust in Him for their salvation—will receive new life. 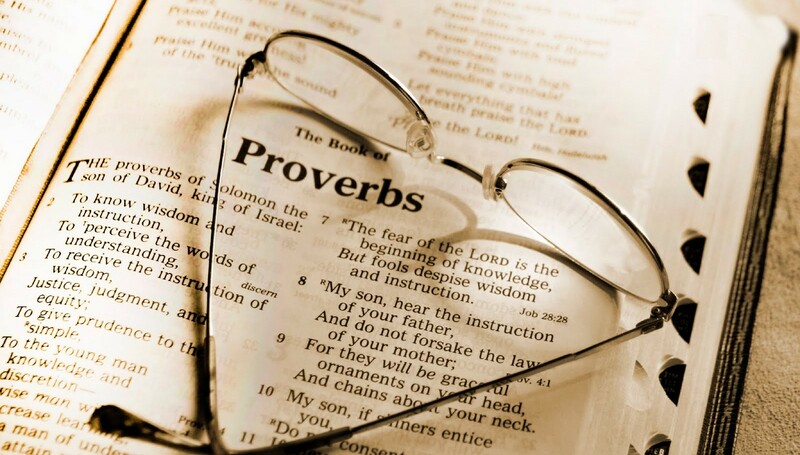 The second passage comes from the wise king, Solomon, who compiled the Book of Proverbs. In Proverbs 30:4, we have a series of six questions. The first four questions all ask the same question of identity: "Who did it?" The first question is: Who [has gone up] into heaven and [come down]? The second question is: Who [has] gathered the wind in his fists? The third question is: Who [has] bound up the waters in his garment? And the fourth question is: Who [has] established all the ends of the earth? These are four questions that Solomon is asking, indicating that the answer is very clear. When we look at the events described in these four questions, it is obvious that only one Person could possibly do all those things: God Himself. Now we come to the fifth question: What is his name? We see that only God can do those things in the first four questions, but now, "what is God's name?" No one really knows how to pronounce His name anymore because, throughout the centuries, we feared to take God's name in vain and the pronunciation has been forgotten. In Hebrew we have it in four letters: הוהי (YHVH). It is the name for which we substitute the word Adonai. In English, we sometimes give it the name Jehovah. Actually, the name is YHVH, the Great I AM. So it is God, the Great I AM, who did all these things. Now, let's go on to the sixth question, which is found in the very same verse: what is his son's name, if thou knowest? Notice how Solomon is posing the sixth question. First, there were four questions asking who did all these great things. The answer was: God did all those things. The fifth question was: "What is God's name?" The answer: YHVH, the Great I AM, is His name. But then Solomon poses a trick question because he knows that, at this stage of biblical history, it would be impossible to answer. That is why he adds the phrase, "if you know", to the sixth question. The question is: what is his sons's name, if thou knowest? The obvious meaning here is that this God, the Great I AM, has a Son! Until the time of Solomon and later, we did not know His name because it was not as yet revealed. This was not an unusual approach in the Scriptures. For instance, throughout the whole history of the Book of Genesis, no one knew God's name, because He revealed it to Moses in the Book of Exodus first, in chapter 3:14-15 and secondly, in chapter 6:2-3. The people living during the time of Genesis knew that there was a God, they just did not know His name. By the same token, no one knew the name of the Son of God throughout Old Testament Judaism. But Old Testament Judaism did know that God had a Son, for both David and Solomon spoke of Him. The Messiah's Sonship with God is thus related to His Messiahship. In Psalm 2, this Sonship is related strongly to the Messiah's Kingship.